Chief of Defence Staff (CDS) Ravindra Wijegunaratne who was arrested and remanded last week, was yesterday granted conditional bail by Colombo Fort Magistrate Ranga Dissanayake. The Magistrate released CDS Wijegunaratne on two sureties of Rs. 1,000,000 with conditions. The Magistrate also pointed out that Wijegunaratne should not interfere with the investigations and not use his position to pressurise Navy witnesses. CID ASP B.S.Tissera informed court that they recorded a statement from CDS Wijegunaratne inside the Welikada prison. According to the statement given by Wijegunaratne, CID stated that he had revealed that Wijegunarathne used an official room in the 7th floor of the Navy Headquarters. CID also stated that they recorded a statement from Rear Admiral Udaya Deshapriya Hettiarachchi regarding this incident. According to his statement, he worked as the Navy secretary of the CDS Wijegunaratne. Hettiarachchi further stated that he never paid Rs.500,000 to Chandana Prasad under the instruction of CDS Wijegunaratne. CID also stated that they were unable to get permission from the Navy Commander to check the room which had been used by the CDS Wijegunaratne. Attorney Achala Senevirathne appearing on behalf of the aggrieved party informed court that there are threats against him. 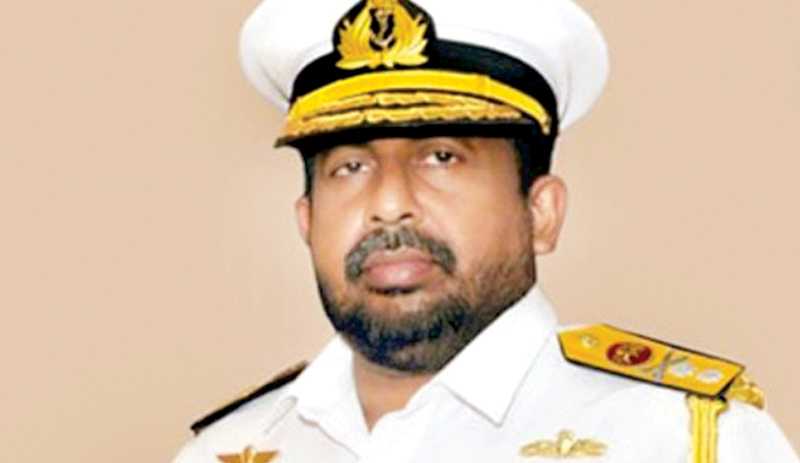 The Magistrate informed that the fort police also filed a case with regards to the Admiral Wijegunaratne threatening the main witness of the case: Laksiri Amarasinghe. Senior President’s Counsel Anuja Premarathne appearing on behalf of the CDS informed court that Rs.363,240.23 for Chandana Prasad Hettiarachchi as a salary arrears. PC Anuja Premarathne also stated that there are 722 Officers in the Navy and his client could not remember everyone, PC Premarathne added. PC Premarathne further stated that his client had no personal links with Commander Laksiri Amarasinghe. Fort police officials informed the court that they commenced an investigation with regard to the complaint lodged by Lakisiri stating that CDS Wijegunaratne had attempted to shoot and abduct witness Laksiri Amarasinghe at the Naval Restaurant in Navy Headquarters. Anyhow, the Magistrate stated that the fort police has not mentioned the reason as to why they commenced investigations into the B report submitted by them. The Magistrate asked the Fort police OIC if they would name Wijegunaratne as a suspect in this case or not? Responding to the Magistrate, the OIC said they recorded 14 statements from Navy officers and no one had revealed about this incident. Police stated that there is no sufficient evidence to name Wijegunaratne as a suspect at this moment. The Fort Police also said the CCTV cameras in Navy headquarters were replaced with new CCTV cameras. The Magistrate informed Western Province Senior DIG to appoint a new investigation officer to conduct this investigation.The Magistrate has removed this investigation from the Fort Police. CID officials informed court that they have no reason to reject bail. The Magistrate fixed further inquiries for January 16.